Hi Everyone! If this is your first trip here, welcome to the new digs! If you’re wondering ‘how you got here’, I switched the old blog [Make them Whole Foods. Make Them Delicious. Make sure you feel Great Eating Them.] over to the domain here – Make Them Real Foods in early December. Figured it was time to upgrade. Powdered sugar? You mean my failure point from the recipes last week? How was I supposed to make that? I was certain it was impossible. But I consulted Mr. Google. Turns out? It’s really easy. Like. Really. As soon as I saw the tutorial, I realized I could probably make this with other sugars. 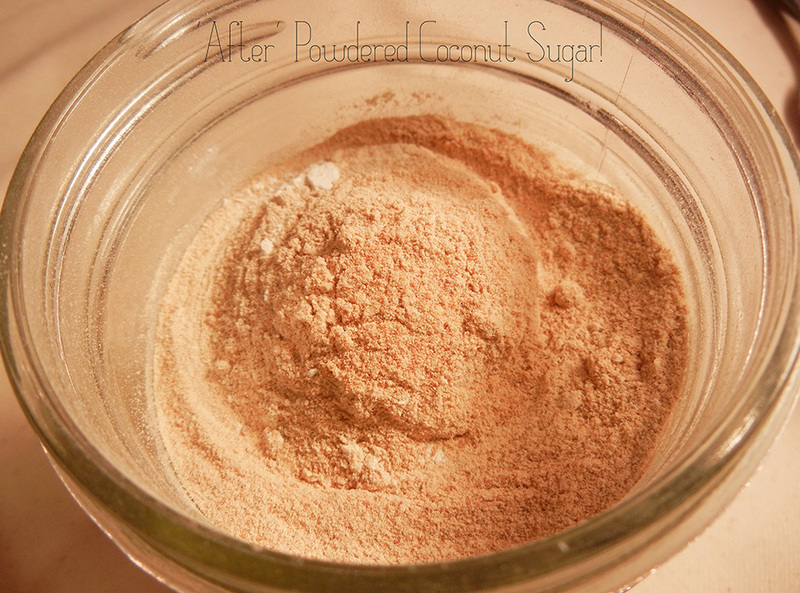 Coconut Sugar. Date Sugar. 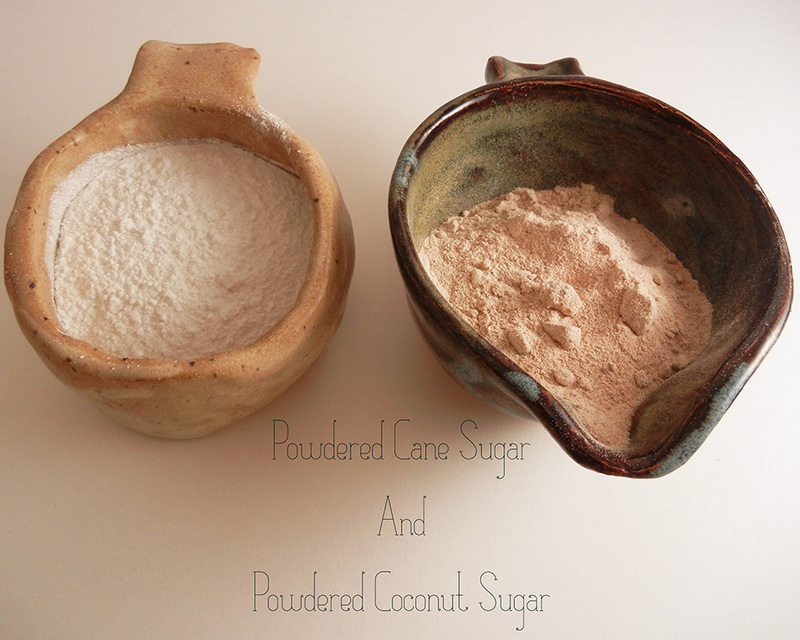 Tonight I tried it with cane sugar (for my friend) and coconut sugar (for me). I do want to try date sugar too, but it was a bit expensive at the store. It seems to have come out wonderfully. The basic concept involves blending the sugar-crystals-of-choice with tapioca starch (or corn starch, but I used tapioca tonight since my friend’s daughter is allergic to corn). 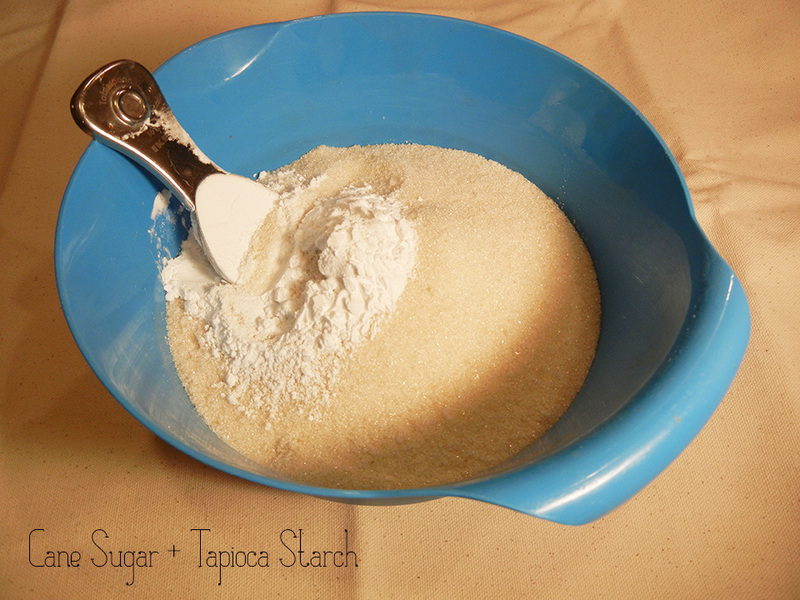 The ratio is 1 cup sugar to 1 tablespoon starch. I tried the cane sugar first. I measured it out (because I wasn’t sure how many cups were in ‘2 pounds’ – it’s 4 plus some change), and then stirred in the tapioca starch. I stirred it in because I blended it in 2 batches, and wanted to be sure it was evenly distributed. Then, I put half of the mixture into the Vita Mix. Yep. Crumbs on the Vita Mix. I see them. Then. I covered it with a towel. I thought this sounded weird in what I read online, but it keeps the dust from flying out of the blender. Trust.Me. on this one. I turned it on ‘variable’ and slowly increased the speed. 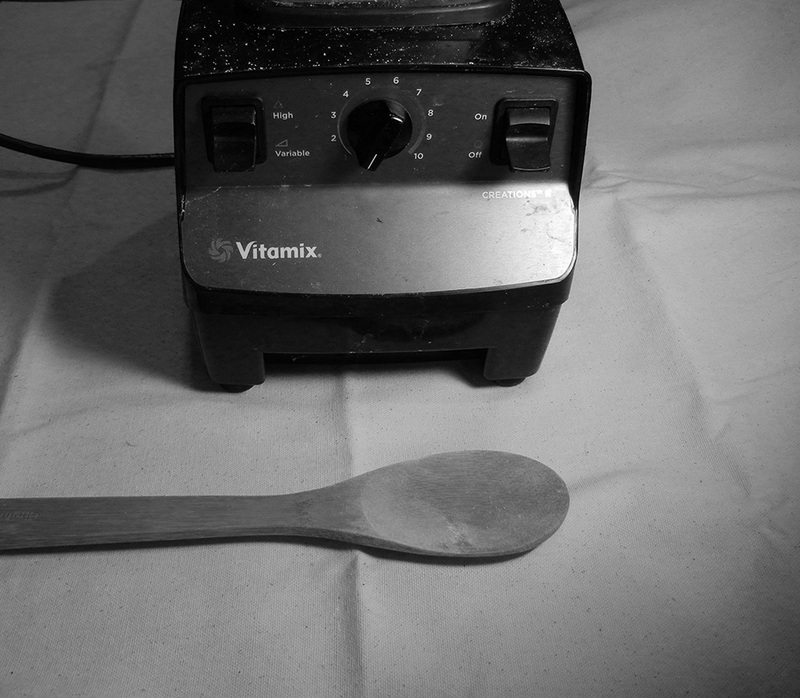 (Peeking under the towel because I love watching my vita mix destroy things – is that weird?). When I got to speed ’10’ I let it run for about 5 seconds, then I turned it off. 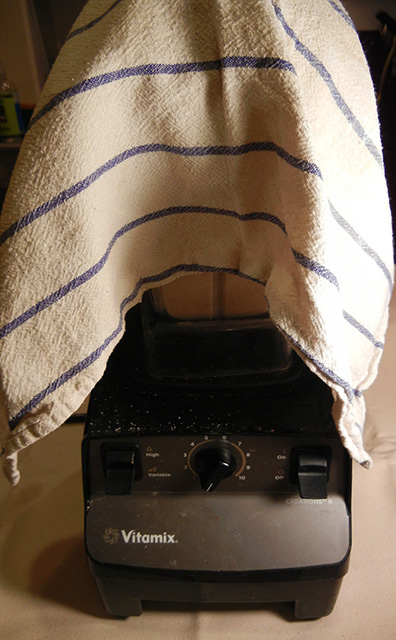 Then I let it sit, still covered with the towel for about 3 – 5 minutes while the dust settled. Seriously. Trust me. When the dust had settled, I poured it into a container, and finished the other half of the sugar. Then, I repeated for the coconut sugar. Half into the blender. Repeat for remaining sugar. Then, compare the two. Oh, and give yourself a high five. For using google. Despite how easy this was, I am super excited to try it in some butter (or, fake-butter) cream icing. And I’m even more excited to share it with you when I do. Until then, go make some homemade powdered sugar! I added this recipe to a recipe roundup. Click here to check out other awesome recipes! That’s great! 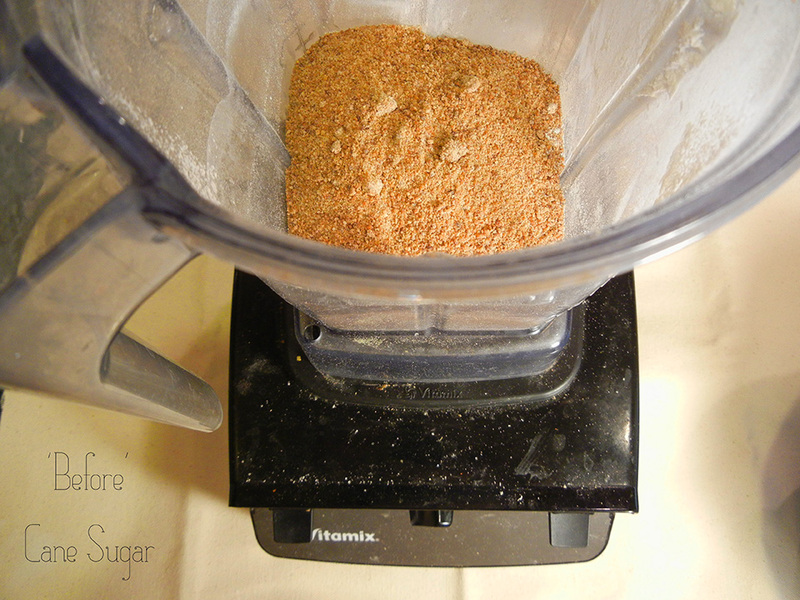 I will have to try this with Vinnie (my Vitamix..lol) I also love watching it pulverize stuff!! AWE! I LOVE the fact that your Vitamix has a name!!! Now I have to think of a name for mine!!! And, I am so glad I’m not alone in enjoying watching it destroy stuff 🙂 Thanks for stopping by! I used this powdered sugar to make a butter cream icing. It is amazing! 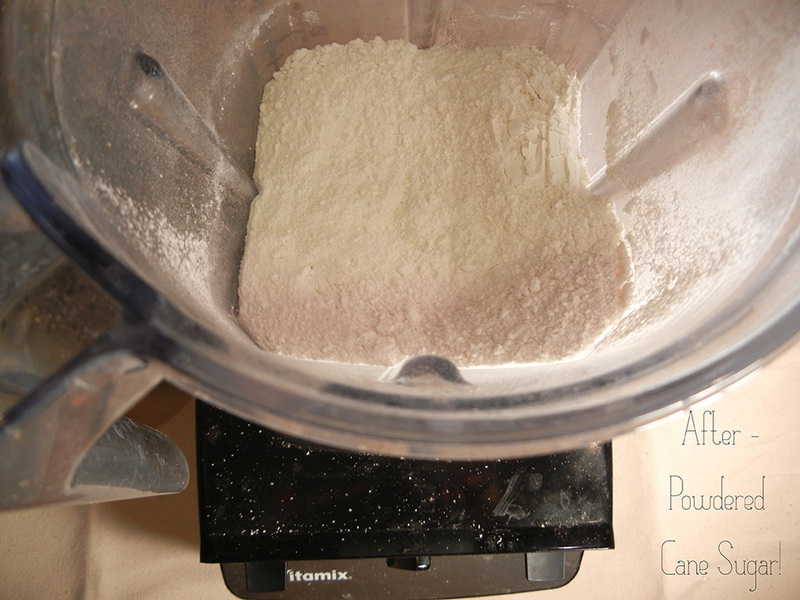 It has a great caramel flavor even though it is just the powdered coconut sugar, earth balance, vanilla and a splash of almond milk in the icing. The flavor is to die for! I am so glad you liked the recipe!! May you should use it on your Daughter’s birthday cake? I bet she would love that….